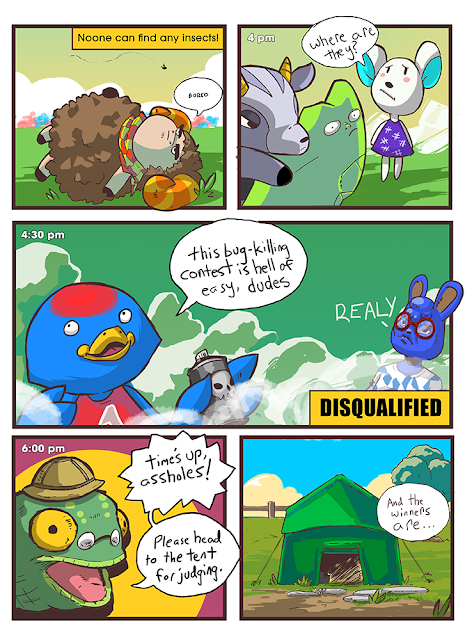 The Animal Crossing train keeps on rolling here--if you're watching, and you don't like AC, then I apologize and also you should like AC. 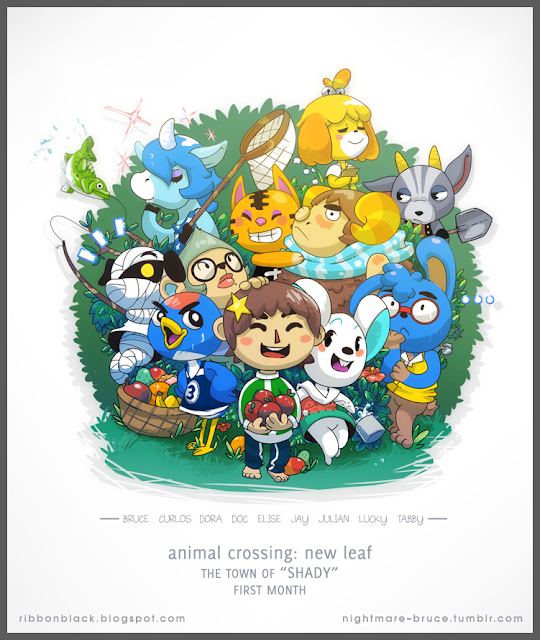 I wanted to do a "serious" fanart of the game rather than the comics I've been drawing, so I did a group shot of my character and all the animals who have lived in my town (Shady) since I started about a month ago. Hope you like it, it consumed my stupid life for a couple days. I didn't think I'd care much for Dora (the mouse) at first, but by the time she said she was moving out she had become one of my favorites. Unfortunately I was on a trip irl and didn't get to talk to her on her last day! I felt guilty, haha. 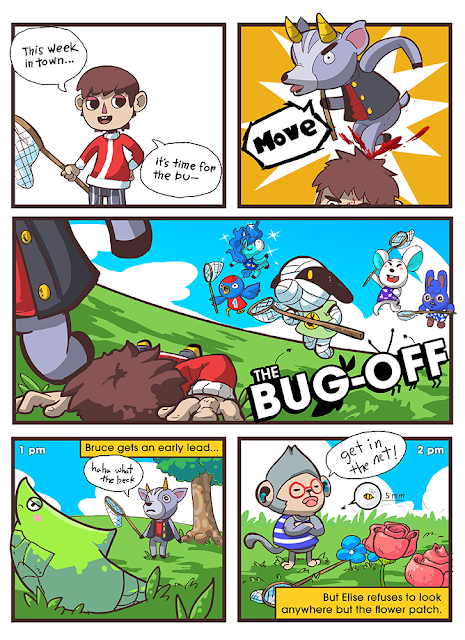 Bruce is the deer on the top right; a "grumpy" type villager. The way he was always wandering the town with a shovel at 3 AM and living in a garage led to a running joke that he was a serial killer. He's still wandering around town at night, but he tends to be watering flowers nowadays. He always seemed like such a quiet, polite boy. Just a short one about a character I like this time. Somehow it came into our heads that O'Hare is destitute and squatting in the town campground at my girlfriend's village, so I decided to make a little comic for it. 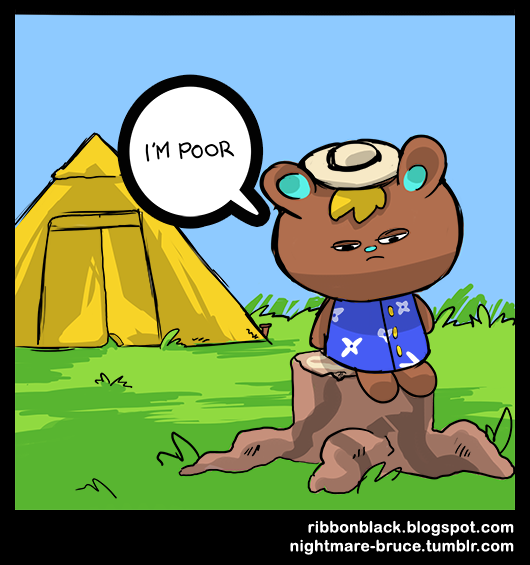 The idea that someone could have trouble getting money in Animal Crossing is very funny to me...maybe he has a gambling problem. Just pretend that the Happy Home Association allows you to buy fully furnished homes in the game too! More to come next time. 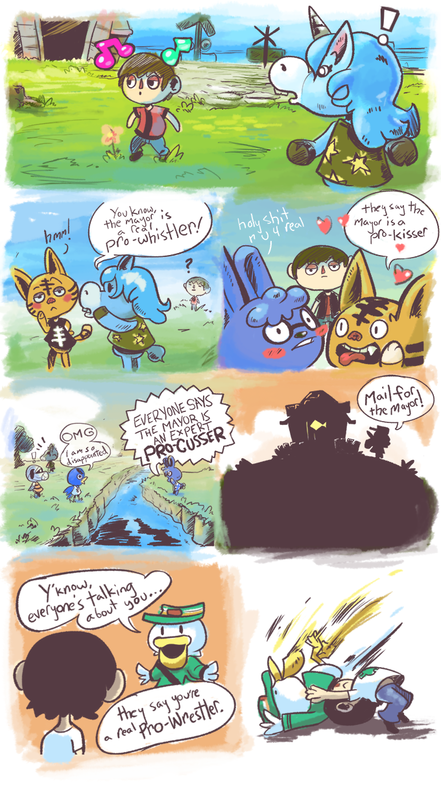 Another one of my dumbass Animal Crossing: New Leaf comics. 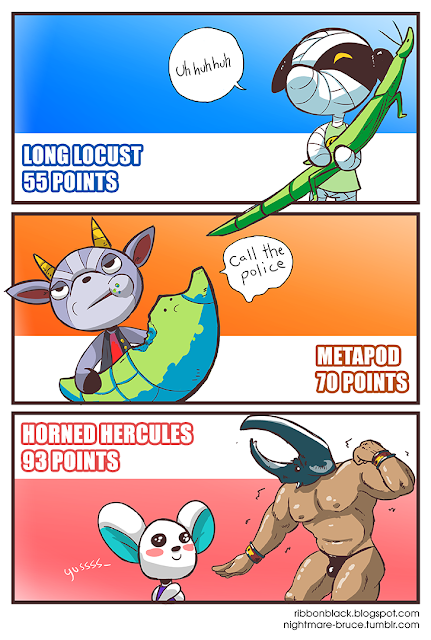 The next one will likely look different! I'm trying different types of drawing/coloring to find something that I like, and that's efficient enough to use for comics (I draw very slowly). I'm so behind with blogging, both posting and reading/commenting. 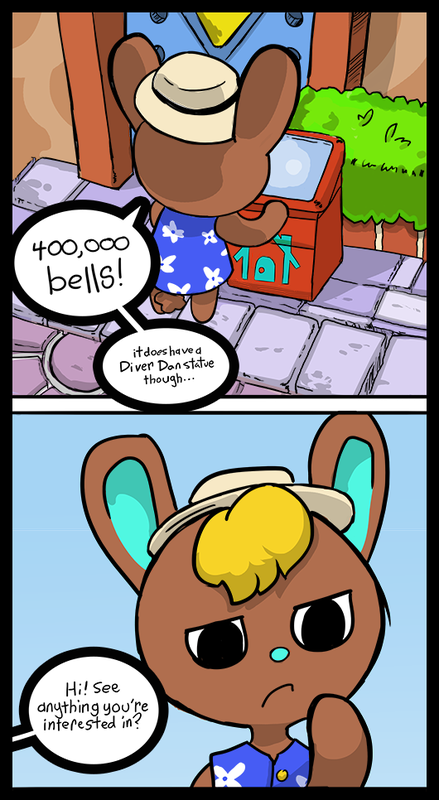 But I've finally gotten some time to pursue a project I've been excited about for weeks--my Animal Crossing: New Leaf comic! It's called "This Week In Town" and here's a pretty rough test strip I did. Nice and colorful though! If you don't play a lot of Animal Crossing: New Leaf, the villagers are always talking about everyone else, including repeating rumors about the player depending on how they act in town. For a long time I was called a "Pro Listener", which gave me the idea for this one. Nowadays they call me "Stump Maker" because I'm turning my town into a desert hellhole. It's fun to make stupid stories for the people living in my town; more to come later!